In his comments as quoted above, Gordon Brown lays his finger on a core issue which, in my view, your commission cannot duck. 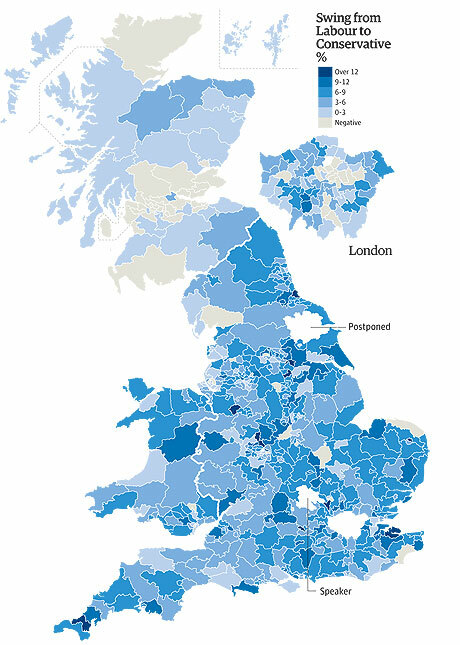 England does account for more than 80% of the population of the entire union, and there seems little appetite in England for any significant devolution to smaller units. There is no campaign to recreate Wessex, Mercia or Northumbria as states of the union in their own right. Rather, it seems clear that England, in so far as it wants anything at all from this process, wishes to remain England. It does not seem to me that it would be either desirable or in the medium term sustainable to seek to impose division on England in order to facilitate devolution in Scotland. While some commentators rightly point out that the degree of difference between the political centre ground of the Scottish, Welsh, Northern Irish and English polities can be over-emphasised, it remains broadly the case that Wales and Scotland choose more left-leaning politicians and parties, while England chooses more right leaning. The situation in Northern Ireland is confused by factors which do not apply in the remainder of the Union. While none of these things are set in stone, the broad picture of a more right-leaning polity closer to the centre of power in Westminster and more left leaning polities further from Westminster has remained apparent consistently over the past 75 years. Furthermore, in recent elections this division has accelerated3. It is true that the line of division between the more rightward leaning and more leftward leaning territories of the Union does not necessarily accord with national subdivisions. Sir Thomas sat then for the constituency of Linlithgow, in West Lothian, in Scotland; his constituents' education was - then as now - governed by the Scottish Parliament at Holyrood. And thus he answered his own West Lothian Question, which has dogged the British constitutional settlement ever since it was first asked, and which has an added frisson in the aftermath of Scotland's failed butterfly rebellion. Clearly, it is unjust and inappropriate - intolerable to fair minded citizens of any of the nations of the Union - that Members of Parliament representing constituencies in the peripheral nations can vote, as Sir Thomas did, on matters which uniquely affect England. The anomaly which Sir Thomas identified must be addressed. However, what is being proposed now by Conservative voices is a parliament - the Westminster parliament - which will continue to debate both bills affecting the whole United Kingdom and also bills affecting England only; but with the quirk that Welsh, Northern Irish and Scots MPs will be unable to vote on the English-only bills. This looks, on the face of it, sensible. It will not work. If Labour wins the next Westminster election, but without a majority of English seats, who then is the English Secretary of State for Health? For Education? For the Environment? for Transport? for Rural Affairs? Fully half of the current UK cabinet have portfolios which cover only England4. If Labour wins a majority in the UK but not in England, Miliband will find himself on the horns of a dilemma. The broad consequence of this is that the Union parliament and the English parliament cannot be the same institution. An administration which commands the confidence of the union may not command the confidence of England, and vice versa. It is not coherent to have two separate administrations within the same parliament. Consequently, a new, English parliament is a necessity of any settlement - whether the English want it or not. This merely adds to the anomalous position of the house in which your chairman sits. No democracy in the world could tolerate a situation in which more than half of its parliamentarians are unelected; the United Kingdom cannot pretend to be a democracy precisely because more than half of its parliamentarians are unelected. Members of the House of Lords represent no constituency - indeed, a significant number of its members hold their seats precisely because they have been roundly defeated in democratic elections. Others hold their seats in consequence of financial donations to political parties - a practice we would condemn as rankly corrupt in any other country. Although people appointed to the House of Lords take territorial designations in their titles, they in no way represent the views of the people of those territories. Whatever their place of birth, most are by the time they are appointed simply members of the metropolitan elite. So it is not the case that the membership of the House of Lords can conveniently be divided into 'English', 'Welsh', 'Scots' and 'Northern Irish' members. Furthermore, whatever may be the views of the people of England, I cannot see Scots willingly accepting a rag-bag of failed politicians and the undeserving rich as an 'Upper House' for the Scottish Parliament. The House of Lords has been a serious and scandalous anomaly in the United Kingdom constitution for two centuries now; it simply cannot continue in the new circumstances. The primary reason for the political dissatisfaction which led up to and gave rise to the recent referendum has been that, whoever Scotland votes for, we are always and automatically outvoted in parliament by England. The same, of course, is equally true for Wales and Northern Ireland. It is not possible to have a federal system in which one federate can always, in all votes, outvote all the others put together. The United States constitution, and the European Parliament, both provide potential solutions to this. In the US, each state, regardless of its population, elects precisely two Senators to Congress5, whether it is Wyoming with 582,658 people or California with thirty-eight million, sixty-five times as many. In the European Parliament6, smaller states elect members from much smaller constituencies, so that one Maltese MEP represents 74,000 electors, whereas each German MEP represents 833,000 - eleven times as many. In the United Kingdom, it is probably not politically feasible to propose that England, Scotland, Wales and Northern Ireland each elect ten members to the Union parliament; but it does not seem to me impossible to suggest that Northern Ireland and Wales might each elect six, Scotland ten, and England fifteen. These relatively small numbers are based on the notion of a system as Gordon Brown proposed, '...as close to federalism as we can go...' Few responsibilities would remain for the Union parliament to administer; each of the devolved administrations would collect tax and pay a subvention to the Union administration; and consequently with little to do, the Union parliament would not have to be large. If the degree of devolution is less radical, then these numbers might be increased ten fold; but the general principle that England should not be able to outvote the other nations combined must not be lost. Scotland has subsidised the rest of the UK for every one of the last 35 years7. At the same time, Scotland has suffered areas of great deprivation and especially of shockingly poor health outcomes. This injustice has been partially reflected in the Barnett Formula, but Barnett recognises only the additional social need in Scotland, not the additional tax take. This historical imbalance raises many difficult issues. While there is some merit in the argument that richer areas should pay more to the common weal than poorer area and that Scotland is a richer area, nevertheless there is historical injustice, consequent historical lack of capital spending, and a legacy of anger and mistrust to take into account. To add any sort of adjustment of taxation into this mix will be fraught. Currently Scotland has powers to vary income tax, but has not, under either Labour/Liberal Democrat or SNP administrations, used them. Given the continuing commitment of all the Westminster parties to austerity, a cut in the rate of income tax is fiscally impossible - public services are already stretched to breaking point. But a raise has been seen by all parties as too politically risky; and because the current power only extends to the basic rate of tax, any rise would be regressive, which would run counter to the social policy of any political party which could conceivably be electable in Scotland in the medium term. However, the 'offers' made by the UK political parties are each in their own way predicated on naked partisan self-interest. None is in Scotland's interest. Income tax alone will not fund the Scottish government's current expenditure, let alone the increased expenditure that must necessarily be a consequence of increased powers. So the Conservative proposals are aimed squarely at undermining the Scottish government's ability to spend, and consequently at undermining its popularity. Labour's bizarre proposals of tinkerings at the margins are aimed at preserving the ability of Scots MPs - of whom Labour optimistically assumes it will continue to have the preponderance - to vote on the Union's, and consequently England's, income tax rates. Devolve all tax raising powers completely, and have Scotland pay a subvention to the Union. Again, this will not be easy to build a political consensus around, and the formula for the subvention will be particularly contentious; but it is clearly the only solution which will work in the medium term. And so I end as I began: by wishing you well in a task which I know will prove thankless, suspect will prove fruitless, and believe will prove pointless. I think that, notwithstanding the verdict of electors in the recent referendum, the slow dissolution of the United Kingdom is already past the point of no return.